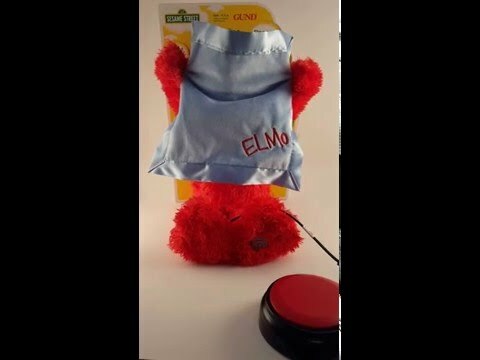 Peek a boo Elmo switch adapted toy for kids with disabilities. Peek-A-Boo Elmo is full of giggles! Adapted to accept a switch with a standard 1/8" plug, sold separately. Press and release your switch and Elmo recites 13 different phrases while playing peek a boo behind a satin-accented blanket. 15" tall. Surface wash. AA batteries required.